When it was just the two of us traveling together, we’d usually cram all of our dive gear in our backpacks, stuff in some t-shirts and shorts and off we went. Now that we’re a family, obviously our packing habits have changed. Our son’s things take up at least 50% of all our baggage space. 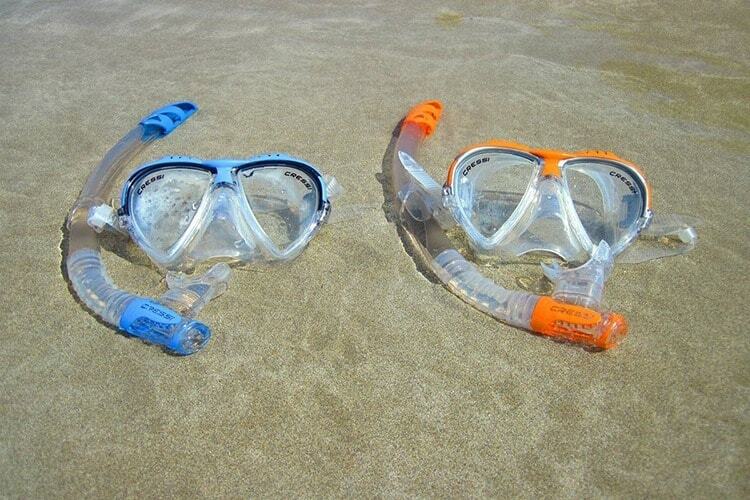 But, we still love to dive, so what diving essentials do we bring with us? It doesn’t come as a surprise that this leaves a lot less space for our stuff. And our bulky dive gear was the first to go. But, whenever there’s a chance we’ll be visiting a place with beautiful diving, we always bring our dive masks, our regulator sets with wireless transmitters and our air integrated dive computers. Not only does a dive computer, and especially a watch type dive computer, take up minimal space, it also makes diving a lot more fun. It allows you longer bottom time, saves you the hassle of doing all the calculations and logs your dives. 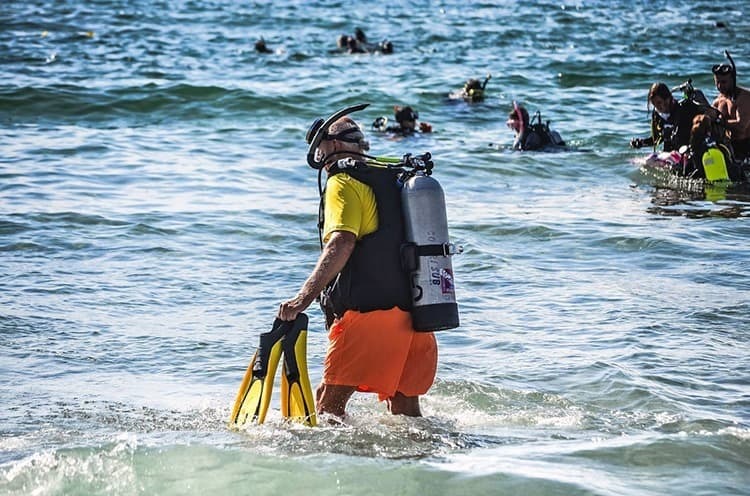 I’ve often dived with rental gear, but I definitely prefer to dive with my own dive equipment, especially the pieces that ensure my safety underwater. We also always take our own kids' wetsuits as well. It is best to know that their gear is sorted rather than hoping for available rentals specifically geared towards kids. Further Reading: Find a list of some of the best wetsuits for kids here. Family diving holiday, what’s it like? Some people seem to think that traveling to far away places isn’t an option anymore when you have kids. Or that scuba diving holidays with kids are out of the question. Well, here’s some news: you don’t have to give up your favorite hobby when you have a family! Naturally, when you take your kids, there is less opportunity for diving. After all, you do want to spend time with your family. But if you choose your destination wisely, you can still sneak in a good few dives while keeping the rest of the family happy. If you go diving early in the morning, while they are still at breakfast and have an exciting morning activity planned, you can spend time together after lunch and have a nice family dinner. Best of both worlds! One of the key factors is choosing the right dive/holiday location. 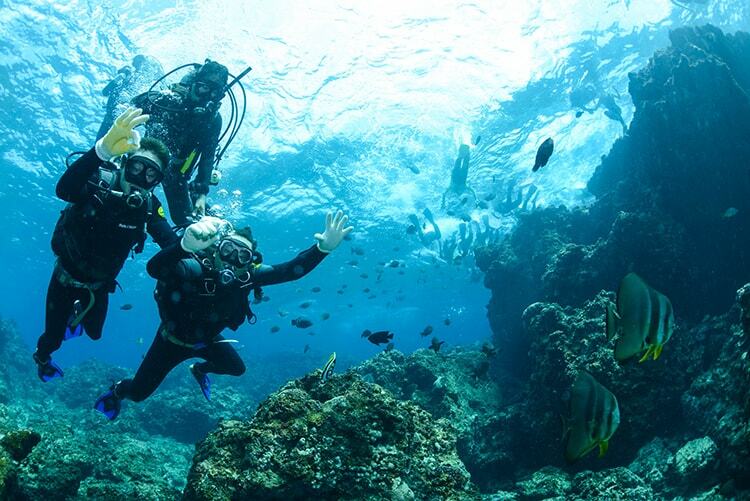 It needs to offer excellent diving, but also enough fun activities for your non-diving family members. Decently priced accommodation with a pool is a big plus. 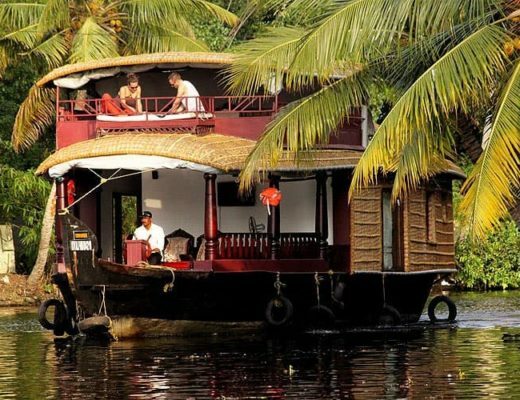 It’s essential that the dives are either shore dives or that the dive sites are within easy reach by boat. This will allow you to do one or two dives in the morning or afternoon and while having the rest of the day to spend with your family. In 2015 we traveled for 10 months around South East Asia with our little world traveler. A lot of the world’s best dive destinations are located in Asia and it seemed a shame to be there without doing at least a few dives. It worked really well and we’ve been to some amazing dive sites. Since both of us are divers, we had to take turns diving. Our strategy was that one of us would go on a dive, while the other one stayed with our little boy. As long as there was a swimming pool, a kid-friendly beach or a playground nearby, it wasn’t hard to entertain him. 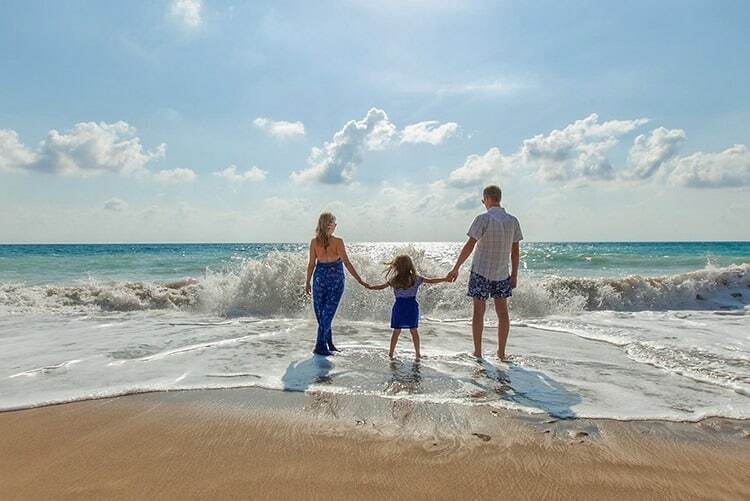 Places we visited that are very suitable for families with young kids are Dahab in Egypt, Moalboal on Cebu in the Philippines and Nusa Lembongan on Bali in Indonesia. So, what are you waiting for? Pack your diving essentials and book the perfect family diving holiday! 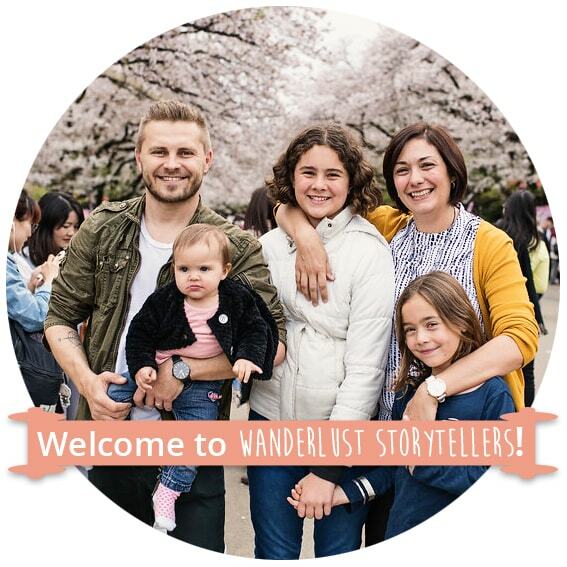 Lisa writes about family travel on her blog Flip Flop Globetrotters. 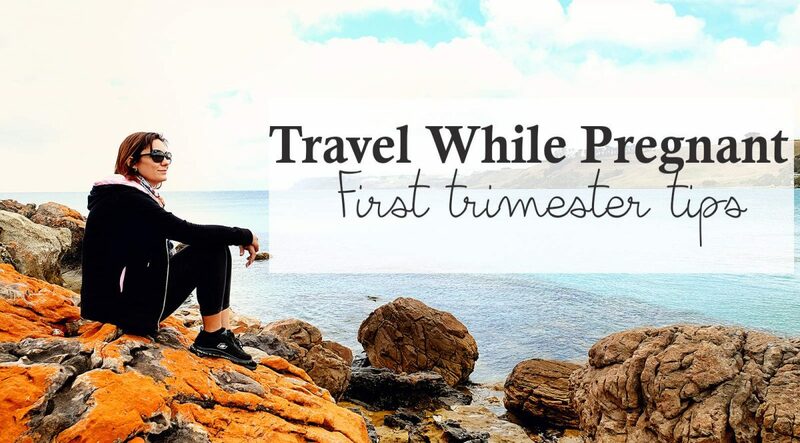 Together with her 4-year old world traveler she loves to explore destinations near and far. She and her partner are both dive enthusiasts and she has recently started a new website called Scuba Around The World, where she writes about anything and everything related to her favorite hobby: scuba diving.